Whether you’re reading, cleaning, cooking, or hiding dead bodies, music can always help enhance your favorite activities. With the advent of smartphones, this makes it so much easier! (Except the dead bodies part – that’s always pretty difficult. I’m not saying this from experience, though – or am I?) However, there’s a wide – and somewhat overpopulated – selection of music apps out there to choose from. 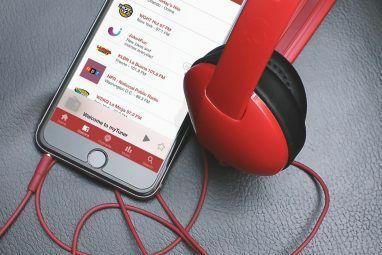 Jango for the iPhone is a music-based app that delivers in-the-background Internet radio to your pocket with relative ease. As you may guess, it’s very similar to other apps in the same genre, but nevertheless, I still think it could be worth it. With clean a clean interface and a wide music selection to boot, what’s not great about it? Let’s go over it, and then you might be able to tell if you like it. 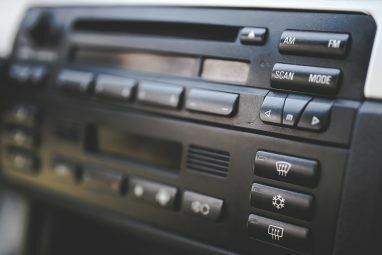 Spotify offers radio, Pandora offers radio, and TuneIn Tune Into TuneIn Online Radio & Listen to Unlimited Music, Sports & Talk Shows Tune Into TuneIn Online Radio & Listen to Unlimited Music, Sports & Talk Shows Is radio listening back in vogue? I think it has been for quite some time. 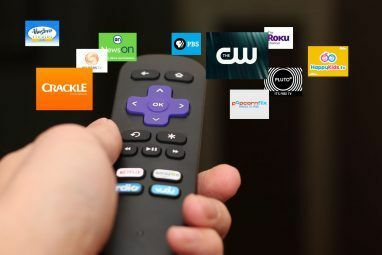 One only needs to follow the trail of advertisers, or for us who live in the online world – the... Read More offers radio – what makes Jango any different? Well, there’s not much, to be honest. The app is a bare-bones Internet radio player, but funnily enough, this may be its redeeming quality. To be clear, there are no distractions like queues or social feeds. Instead, you can simply download Jango, open it up, and get straight to the music. The app allows you to make stations based on artists or genres, and yes, this is a familiarity among apps like this. However, an interesting aspect of this is that you can actually”fine tune” the stations to get rid of bands you don’t like. This is a feature that most similar apps do not have, and its a welcomed addition in my book. Another aspect of the Jango music app I like is this: skipping songs. This is so simple that it’s even almost insignificant. However, most other apps only allow you to skip a certain amount of songs per hour or so. Jango lets you skip as many songs as you want with no limit. How they manage this is beyond me, but I will say the one thing you want to hear: it works. The Jango music app stores all of your stations in a list, but it also lets you browse its library of other stations by genre. Furthermore, the Top 100 plays the top songs of the day, offering a nice mix of unique tunage from all over. We’ve already covered how Jango works – now it’s time for me to tell you how it looks. Fortunately, I can say with confidence that it’s efficiently designed! However, it’s also not the kind of app that you will gawk at. This app’s interface is about as memorable as Ann Veal from Arrested Development. Everything is a nice navy blue, and most of the read-outs conform to iOS’s usual font and layout. Also, and I hate bringing it up again, but the app operates much like Pandora, Spotify, and TuneIn. Basically, if you have used those apps before, you’ll pick this one up with relative ease. Overall, I say that the Jango music app’s design is surprisingly one of the best. Without the extra fluff, you can get right down to the reason you downloaded it: the music. If you want your music with nothing else and are in the market for a new Internet radio app, then I say go for Jango. The mini-software gets rid of the social media nonsense and extra unneeded stuff, and this alone makes it worth it. Then again, if you are already using Spotify or Pandora, I’m not really sure why else you would change. There are still ads, and it’s just an extra download to your iPhone. Speaking of which, Jango comes in browser-based and Android flavors, too. If you are into either of those, you should check them out. Will you use Jango for your music-listening pleasure? Do you believe Jango is different enough from other similar apps? Better than spotify or radio tuna? It's really your preference. If you prefer simple, straight-forward radio, then yes. If you prefer more options, then no. I use both Spotify and Jango now.